The Honda CR-V boasts a venerable reputation for reliability, but yours still demands some TLC. To maintain efficient performance and prevent damage, you should bring yours to a Big Island Honda service center at Honda-recommended service intervals. Honda-recommended service intervals are designed to check key systems and make replacements exactly when your Honda needs it. At 7,500 Mile Intervals: Your first Honda CR-V servicing visit includes oil and filter changes, brake inspection, throttle lubrication, fluid level checks, tire inspections, and tire rotations. Subsequent servicing falls at 22,500, 37,500, 52,500, 67,500, and 82,500 miles. At 15,000 Mile Intervals: A comprehensive inspection covers everything from ball joints to transmission fluid, and your vehicle will be treated to a variety of filter changes and part replacements to keep it in strong working order. Replacements include the oil drain plug and air conditioning filter. Subsequent servicing falls at 45,000, 75,000, and 105,000 miles. At 30,000 Mile Intervals: Your 2018 Honda CR-V will receive another comprehensive inspection, plus all the standard filter and fluid changes. The drive shaft bolt and propeller shaft bolt are re-torqued, the spark plugs and fuel filter are replaced, and the propeller shaft, throttle shafts, wheel bearings, and drive shaft bearings are lubricated. Subsequent servicing falls at 60,000, 90,000, and 120,000 miles. 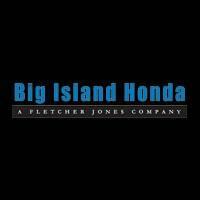 With dealerships in Hilo and Kailua-Kona, Big Island Honda takes care of Honda CR-Vs across Kamuela, Waoimea, and beyond. Our service team is ready and waiting to keep your vehicle running in like-new condition, so contact us today to arrange your next service visit and keep your CR-V prepared for anything.